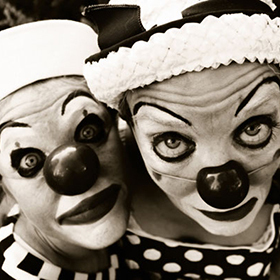 If at first you don´t succeed, try again… and again… and again. 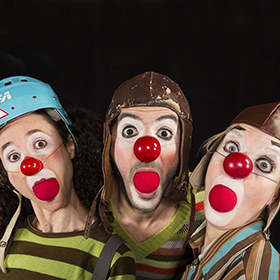 …Quizas premiered in New York in 2010 and since then has been performed around the world to various clown and theatre festivals in New York, Brazil, Colombia, Georgia, France, Spain, UK and Sweden. Hired as security for the new French presidential candidate, she unfortunately knocks out the candidate and slips into her role in order to cover up the mistake. The feisty, unrefined, animalistic, and fierce Colette Gomette suddenly finds herself in her element. She hops and jumps, races and listens, she whines and snorts, she discovers the world of politics with passion. Totally wired, she entrances her listeners and enjoys her power, maybe even too much. 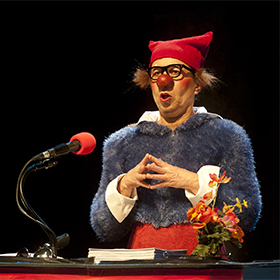 Hélène Gustin aka Colette Gomette, has been pursuing her clown career since 1996, primarily on stage but also on the street and at all kinds of events. 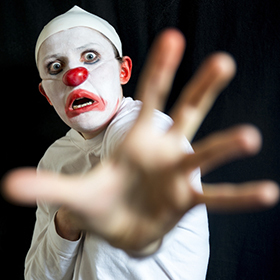 She also works as a clown doctor in a hospital with the French organization Rire Médecin. 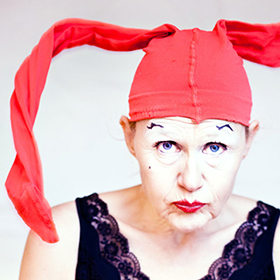 Colette Gomette is one-of-a-kind; after her training with Jacques Lecoq, she acted in several plays, put five clown shows on stage, and went on a number of world tours. 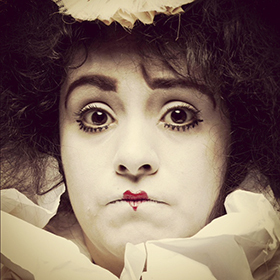 She also runs workshops and is a trained jazz dancer as well as burlesque artist. “Vote for Colette Gomette!“ Duration 70 min. 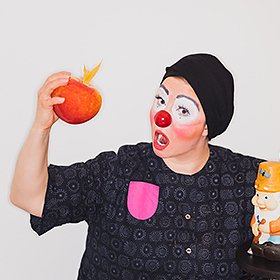 An unforgettable evening with Finnish female clowns! On stage: Laura Rämä, Hanna Terävä, Jenni Kallo, Inga Björn, Kristiina Tammisalo, Janna Haavisto plus Ruxy Cantir from Scotland.